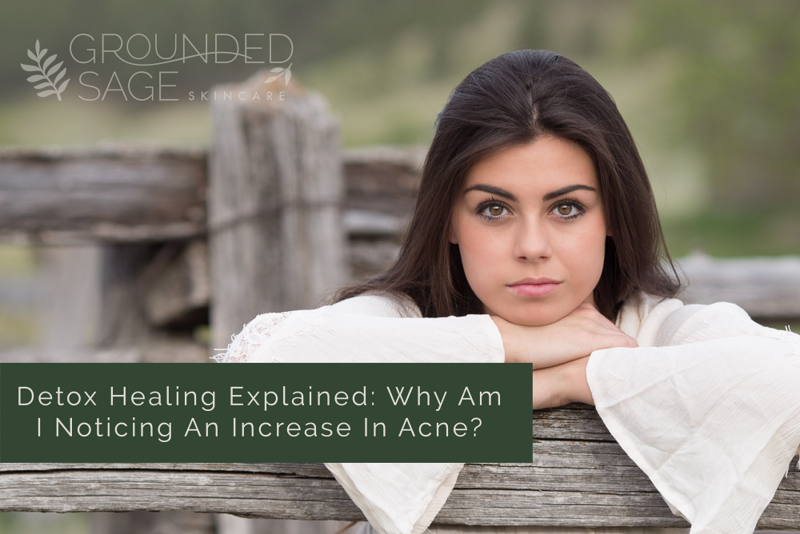 Detox Healing Explained: Why Am I Noticing An Increase In Acne? I’ve been on the Detox Kit for three weeks now and I’ve actually noticed an increase in acne. I don’t have horrible acne (anymore, thanks to birth control) but I’ll usually get one every two weeks or so. However, since I’ve been using the detox kit, I’ve gotten a new one almost every day. They go away pretty quickly, and without scarring, but I’m getting a little worried that it’s still going on into the third week. I’m not entirely sure what to do. First and foremost, I want you to know that the response you’re having is totally normal! Secondly, this could be a VERY good sign that your skin is detoxifying (which is the point after all- LOL). I’ll explain more below! And thirdly, STICK WITH IT! Honestly. Your skin WILL get better, but often it has a little freak-out or two during the detox stage. Feel free to switch over to a custom routine at any time now since you’ve already been on the Detox Kit for 3 weeks. Your skin will continue to detox with all of my products, even ones not designated to the Detox Kit. Although, it will be at a slower pace than the detox kit routine. 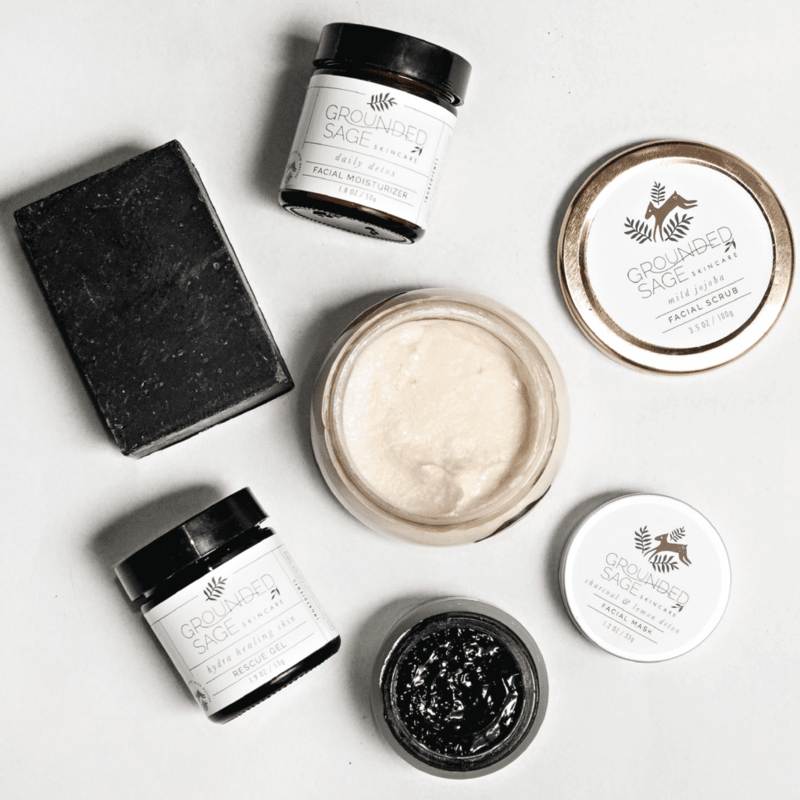 Also, a common step that is often missed with the Detox Kit is exfoliating really well after using the Charcoal & Lemon Facial Mask. The mask moves impurities that are in the top layers of your skin the surface and without adequate exfoliation after, those impurities will be sitting at the entrance to your pores waiting to cause trouble! If you suspect this might be what’s going on, here’s an alternative approach to making sure those impurities aren’t sticking around: After using the mask, try washing your face with the Charcoal CP Soap first (lather it up on a face cloth and use the face cloth as a pre-exfoliator to the scrub), wash the soap off with water, then use the Mild Jojoba Facial Scrub. You can also try doing a facial massage (which also helps detox the skin) with the Charcoal CP Soap a few times a week on days when you’re not using the mask (or every time you wash your face with the soap!). You’ll find a super extended answer below! The reason I recommend starting with the Detox Kit is because after using pore-clogging products for years there’s a buildup of toxins and petrochemicals in the skin (many of them get stored in the fat cells of the skin, plus the more recent ones are in the top layers of the skin and sitting in pores). Until these impurities have been detoxified out of the skin, any good and healthy ingredients won’t work as well for two reasons. First, they won’t be able to be absorbed into the skin – petro-ingredients are like putting plastic wrap around your face, nothing can go in and nothing can go out. The second is that when your skin is overburdened with ‘junk’, it’s more focused on dealing with them than absorbing – and putting to work – any additional ingredients – the energy just isn’t there for your skin to put all those good ingredients to work properly! 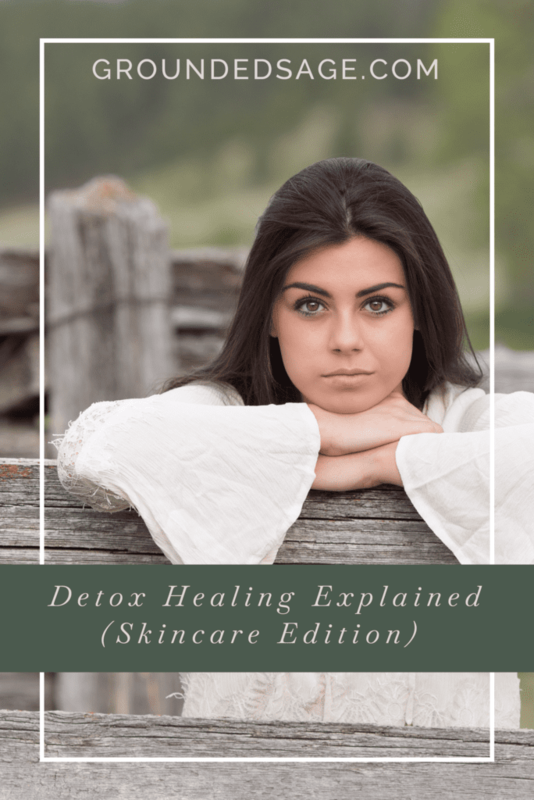 Additionally, using the Detox Kit first helps to soothe the skin out of a hyper-reactive state that is caused by reactive ingredients (your body just doesn’t know what to do with them which often increases sensitivity, deplete your skin’s lipid barrier – so your skin is prone to more problems, infection, and irritants – and increases inflammation – the body’s natural response to irritation/foreign substances). In other words, your skin has been living in a particular state for a long time, and now you’re forcing it out of what it’s used to, and it’s acting up. This is common – sometimes our skin acts up just from changing products or routines (even if we’re changing from a green product to another green product). It’s important to stick with it and not change your routine or products even more (or more often than is needed), to avoid your skin acting up. BUT, on the other hand, this “acting up” can be a very, VERY good sign that you’re skin is detoxifying all those petro-ingredients and other nasties I mentioned above. Especially if you don’t think switching products or your routine is the issue (or it’s never been an issue in the past). Trust me, I know this can be a confusing and stressful time when you’ve made a positive change for your skin and it repays you with a breakout! But not to worry. Your skin won’t act up forever, or continue to freak out! 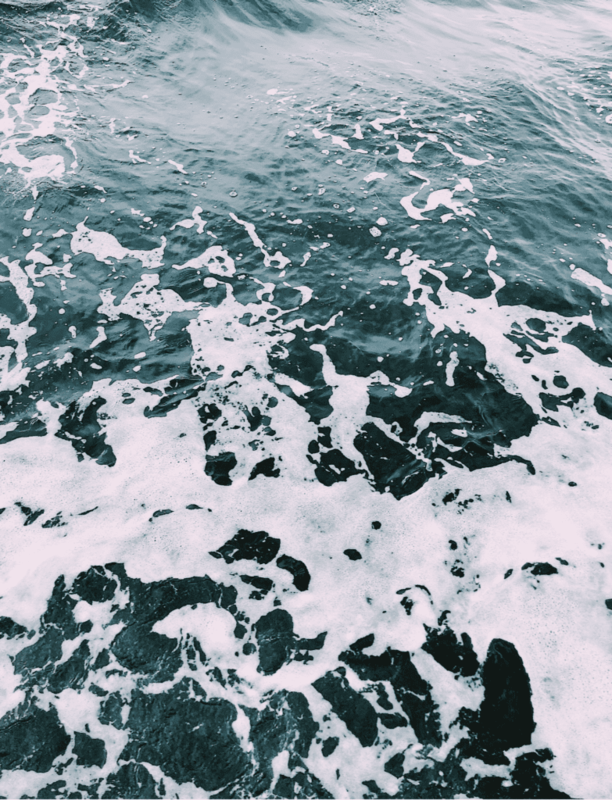 Basically, the skin heals in waves. This often shows up by your skin getting clear and then a breakout comes out of nowhere, it clears up, and then bam – another one hits (although it’s usually not as bad). The reason this happens is those “waves of healing”. What are waves of healing? When your skin has finished clearing a pocket of toxins, it starts to clear up. Then it goes deeper and finds another pocket and in the process of clearing that pocket, a breakout happens. The good news is you’re clearing those pockets of toxins that are likely one of the root causes of your acne in the first place! Hooray!! The more pockets that are cleared, the milder the breakouts will get. I should also mention that average pimple forms within the skin for months before it ever shows up as a visual pimple (once it’s which in visual range, the timeline is about 9-14 days from showing up to clearing)… which means it often takes a bit longer than that (90 days is a good guideline), to see substantial results. What I mean by an average of 90 days, is that breakouts (and most other skin annoyances) start internally, as a result of something going on within our body – so it can be hard to pinpoint what’s going on since a current breakout could be a result of something that happened more than 2 months ago! Yikes! This is why so many people have a hard time clearing up their acne. Oh, and the 90 days is a guideline. Some people have a body that works a lot faster and certain causes of acne bring about symptoms quicker. Dietary causes, for example, often manifest within a few weeks or less. Breakouts during detox can come on fast and furious but, thankfully, go away just as quickly. That’s how you can tell it’s a “detox breakout” and not a breakout caused by something else. If you want to speed up the detox breakout process, it can be done when you incorporate some internal work. The Detox Kit can only address so many toxins. It can’t help you clear ones from other areas of your body (which are often the ones behind stubborn chronic acne). The Detox Kit will set you up to use green products to their full potential. It will substantially increase your chances of clearing up your acne! But, some of my customers want to boost their detoxifying power even more! This will mean going beyond just using the Detox Kit, although many of my customers bypass the internal work and just stick with the kit. They (and hopefully you too!) often see their breakouts becoming milder and milder the longer they stick with it! This is true whether they do internal work or not! Help your digestive system clear out more toxins by taking steps that help it working as efficiently as possible! Something as simple as adding psyllium husks to smoothies (or any food/drink of your choice) can go a long way. Our digestive system not working at peak performance is another common cause of stubborn chronic acne! This is true even if we don’t have any obvious symptoms. Teas that strongly supports healthy digestion with natural herbs and botanicals. Also, look for teas that help balance hormones (another common cause of stubborn acne). 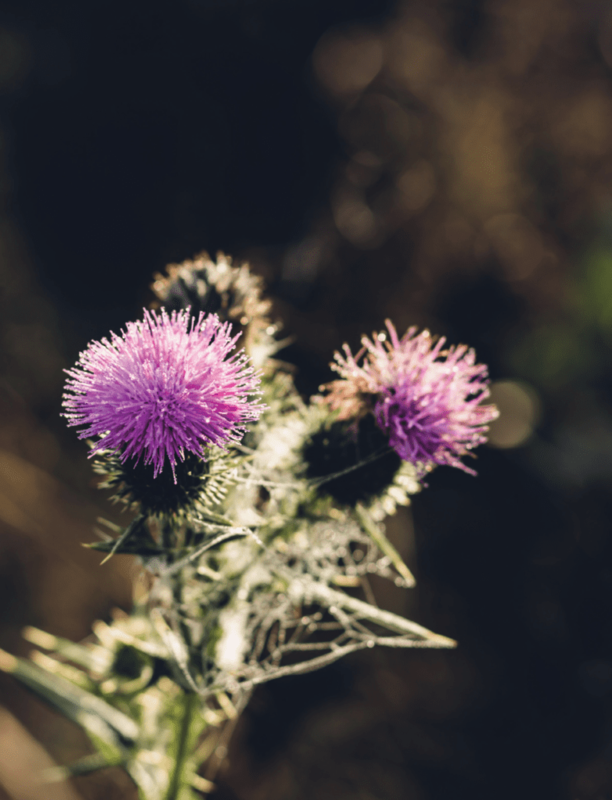 Milk Thistle is another herb that is great for digestion, as is aloe vera. My super brief tips on balancing hormonal acne may interest you. They are all about boosting your toxin clearing power, as well as targeting common causes of hormonal acne. They can be found here. To summarize a very long answer to your short question, try not to worry! Stick with it, and above all, things will get better. Consider boosting your overall detoxifying power if you’d like, or don’t. It’s totally up to you but some people find it really helps. Just know that the detox kit is just a starting point to your clear skin journey. It’s the first mile if you will, and I’ll be here to help you finish the race! P.s. Want to know the quickest way to know if it’s a detox breakout? Check out this new article right here. If you’re interested in more DETOX resources? Check out our 30-day detox challenge!